Bibi [Audiobook] | Free eBooks Download - EBOOKEE! Posted on 2018-05-19, updated at 2018-06-15, by perica123. Benjamin Netanyahu is embroiled in numerous scandals, all of his own making, and may soon be ousted from the office he has held longer than any prior Israeli prime minister outside of David Ben Gurion. But Bibi, as he is known by friend and foe alike, is no stranger to controversy. For many in Israel and elsewhere, he is an embarrassment, a threat to democracy, even a precursor to Donald Trump. He nevertheless continues to dominate Israeli public life - and he may yet survive his current crises, the most challenging of his career. How can we explain Netanyahu's rise, his hold on Israeli politics, and his outsized role on the world's stage? In Bibi, the Haaretz journalist Anshel Pfeffer argues that we must view Netanyahu as representing the triumph of the underdogs in the Zionist enterprise. Born in 1949, one year after the state of Israel itself, Netanyahu came of age in a nation dominated by liberal, secular Zionists. Yet Netanyahu's grandfather and father bequeathed to him a brand of Zionism integrating Jewish nationalism and religious traditionalism, and he identified with the groups at the margins of Israeli society: right-wing Revisionists, orthodox, Mizrahi Jews and small-time professionals living in the new towns and cities dotting the Israeli landscape. Netanyahu cultivated each faction individually and then fused them into a coalition that has frequently proven unstoppable in Israeli politics. Netanyahu is also a child of America, where he spent many years as a young man and where he learned the techniques of modern political campaigns as well as the necessity of controlling the media cycle. The product of the affluent East Coast Jewish community and the Reagan era, Netanyahu's politics and worldview were formed as much by American Cold War conservatism as by his family's hard-line right-wing Zionism. 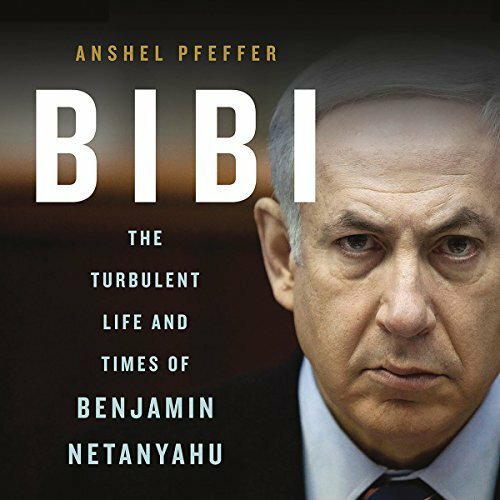 As Pfeffer demonstrates in this penetrating biography, Netanyahu's influence will endure even if his career soon comes to an end. The Israel he has helped make is a hybrid of ancient phobia and high-tech hope, tribalism, and globalism - just like the man himself. No comments for "Bibi [Audiobook]".